5 Ways to Improve Your Social Media Page – for Free! Social media marketing is easy to start, but as platform become more crowded and other business owners use the networks to market their services, it takes effort to find ways to reach an audience with a message. There are a lot of paid tools on these platforms that business owners can use, but paying to promote every post or continually running ads may not be an option for small business owners. Here are five ways that small business owners can improve their social media page for free. As was discussed in another article, images are what drive engagement on every social network. This is obviously true for image sharing platforms like Instagram and Pinterest, but research has shown that images are what get people to click posts on Facebook and Twitter. Social media marketers should endeavor to find relevant, novel images to accompany their social media posts. This may be harder for some businesses, but it’s worth the effort to produce compelling imagery. It’s also worth noting that with Facebook’s new algorithm for News Feeds, their appears to be a boost in organic reach for users that post multiple images at once. For retailers, this can mean posting several views of an item in one post, or for businesses that want to promote an event, using multiple photos in the post can get it extra exposure. Some business owners want to use social media has a uni-directional tool for communicating with consumers. They want to market things to their customers but aren’t prepared to listen to their comments or engage in conversations. This reticence is understandable because the ability to engage with consumers directly is something unique to social media marketing. While some consumers don’t want to engage with brands, a growing number of consumers do. According to a study from Adroit Digital, 44 percent of US millennials want to have open dialogues with brands via social media. It’s important that social media content for a business have variety. As was stated in a previous post, it’s ill advised to use a social media as a non-stop advertisement. For retailers with large catalogs, it may be possible to continually post popular items, but for business owners struggling to find content, keep in mind that a third of users want information they can use that’s not directly advertising a product. According to Nielsen, 37 percent of women and 30 percent of men use social media for “how to, information, and self-help” needs.Posting helpful guides or infographics can be the kind of content that brings people back to a page, where they will also see marketing messages. Social media has changed the way that people receive news and this is something that marketers should embrace. In fact, according to the Nielsen study mentioned above, people around the world like getting news through social media. Globally, men and women agree that the growth of social media as a news source is more positive (78%) than negative (22%). Marketers can take advantage of this either by publishing a blog with news and information, then feeding it to social media or business owners can post links to articles that are relevant to their industry. Either tactic would have the effect of establishing the brand as a source for quality information. Taking the time to publish a blog has the added effect of bringing people back to the business’ website. The key to a good social media page is similar to the key to good business: filling the needs of the consumer. Marketers need to think about what it is their audience is hoping to gain from the social media page and cater to that need. A recent study of Pinterest users around the holidays found that 92 percent of Pinterest users believe the site makes holiday planning less stressful and 43 percent of Pinterest users have a board designated for the holidays. Pinterest marketers who did things to make it easier for people to find gifts for Christmas benefited financially. Retailers can do the same thing throughout the year. For example, home design retailers should create gallery of home decor images, since this something that people who are shopping for home decor items are searching for first. 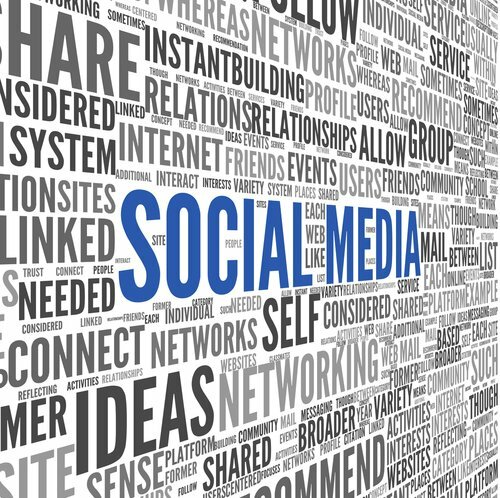 Social media marketing will become trickier as platforms and public preference evolve. However, a changing environment doesn’t mean that business owners shouldn’t instinctively start paying every platform they use. Use these tips to boost the organic reach of social media posts and to create content that the motivates the target audience to come back again.